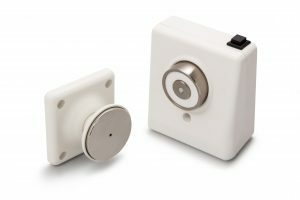 Geofire manufactures a wide range of electromagnetic fire door holders, fire door closers and other activation devices used widely as part of a fire, security or ventilation system. 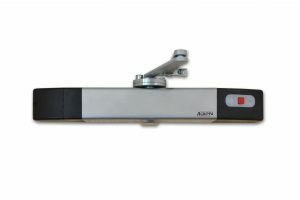 These range from fire door holders and closers to smoke curtain releasers and roof vent winches. Geofire is the manufacturer of the wire free Agrippa, acoustic and Salamander, radio controlled range of fire door holders and closers. 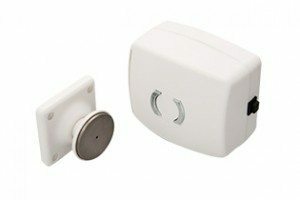 Both ranges are completely battery-powered and wire-free so there is no need to disrupt the building’s infrastructure. We offer a design service to meet individual customer specifications and manufactures all products in-house. High investment in machinery and technology, alongside a clear focus on quality and efficiency means that we consistently exceed customer expectation on both lead times and product excellence.